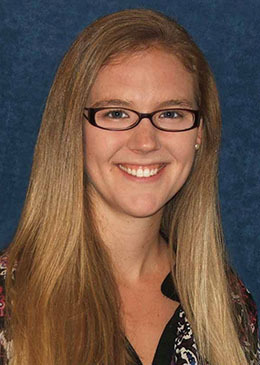 Angela Jarman, MD is a graduating Chief Resident at the University of Utah. In addition to a few very important mentors, she blames her mother, a school principal, for her ideas of professionalism. “As a member of my high school choir, my classmates and I intricately scrawled ‘Professionalism is an Attitude’ across a large banner to hang in our rehearsal space. Along with the motto, ‘Excellence is our standard,’ the phrase was meant to both inspire and remind us each day to carry and imagine ourselves as professionals. Although I’ve traded music for medicine, my present day colleagues and I continue to work at engaging resident physicians in a meaningful understanding of professionalism and impart what it means to the work we do. But what does professionalism mean when it comes to being a practicing physician? What does it mean for a resident physician or a medical student? This idea has been fervently debated in medical literature as we struggle to define the term in the unique arena of practicing medicine. Some have posited that it requires a commitment to service, expertise and altruism. Others suggest that added engagement with society and the political environment is necessary to continually redefine our role and our commitment to health and service. And yet, more than any esoteric definition, I still hold that professionalism is an attitude. In my scant three years as a practicing physician, I have noticed that something remarkable happens during residents’ first year of training. It comes at different times for different people, but for most, it’s around this time that patients remarkably stop commenting, ‘Are you sure you’re a doctor? You’re just so young!’ and translates into the moment when young doctors go from seeing themselves as students to seeing themselves as physicians. This has nothing to do with crow’s feet and everything to do with how one carries oneself. It may be the first time they tell a patient their assessment and plan before checking with the attending, or it may be the first time they show up to a resuscitation and know how to lead the team. It is a visceral experience and one that changes them. It is one of the most powerful experiences young physicians have, in which they come to understand the gravity of their profession and its demands. No matter how hard we try to teach professionalism, the moment one internalizes this role of a physician is the day they have succeeded in embodying it.